In this detailed Resource page, we feature an abundance of Spring Tutorials! The first version was written by Rod Johnson, who released the framework with the publication of his book Expert One-on-One J2EE Design and Development in October 2002. The framework was first released under the Apache 2.0 license in June 2003. The first milestone release, 1.0, was released in March 2004 with further milestone releases in September 2004 and March 2005. The Spring 1.2.6 framework won a Jolt productivity award and a JAX (Java API for XML) Innovation Award in 2006. Spring 2.0 was released in October 2006, Spring 2.5 in November 2007, Spring 3.0 in December 2009, Spring 3.1 in December 2011, and Spring 3.2.5 in November 2013. Spring Framework 4.0 was released in December 2013. Notable improvements in Spring 4.0 included support for Java SE (Standard Edition) 8, Groovy 2, some aspects of Java EE 7, and WebSocket. Spring Framework 4.2.0 was released on 31 July 2015 and was immediately upgraded to version 4.2.1, which was released on 01 Sept 2015. 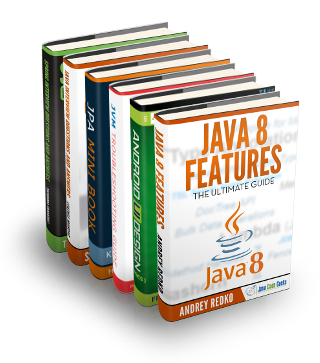 It is “compatible with Java 6, 7 and 8, with a focus on core refinements and modern web capabilities”. Spring Framework 4.3 has been released on 10 June 2016 and will be supported until 2020. It “will be the final generation within the general Spring 4 system requirements. Spring 5 is announced to be built upon Reactive Streams compatible Reactor Core. Quick start to understand the basic of Spring framework development. The Spring Framework has its own Aspect-oriented programming (AOP) framework that modularizes cross-cutting concerns in aspects. The motivation for creating a separate AOP framework comes from the belief that it should be possible to provide basic AOP features without too much complexity in either design, implementation, or configuration. The Spring AOP framework also takes full advantage of the Spring container. Compared to the AspectJ framework, Spring AOP is less powerful, but also less complicated. Spring 1.2 includes support to configure AspectJ aspects in the container. Spring 2.0 added more integration with AspectJ; for example, the pointcut language is reused and can be mixed with Spring AOP-based aspects. Further, Spring 2.0 added a Spring Aspects library that uses AspectJ to offer common Spring features such as declarative transaction management and dependency injection via AspectJ compile-time or load-time weaving. SpringSource also uses AspectJ AOP in other Spring projects such as Spring Roo and Spring Insight, with Spring Security also offering an AspectJ-based aspect library. Spring Security is a Java/Java EE framework that provides authentication, authorization and other security features for enterprise applications. The project was started in late 2003 as ‘Acegi Security’ (pronounced Ah-see-gee, whose letters are characters 1, 3, 5, 7 and 9 from the English alphabet, in order to prevent name conflicts) by Ben Alex, with it being publicly released under the Apache License in March 2004. Subsequently, Acegi was incorporated into the Spring portfolio as Spring Security, an official Spring sub-project. The first public release under the new name was Spring Security 2.0.0 in April 2008, with commercial support and training available from SpringSource. Spring Boot is Spring’s convention-over-configuration solution for creating stand-alone, production-grade Spring-based Applications that you can “just run”. It is preconfigured with the Spring’s “opinionated view” of the best configuration and use of the Spring platform and third-party libraries so you can get started with minimum fuss. Most Spring Boot applications need very little Spring configuration. 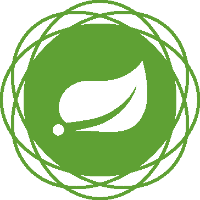 Central to the Spring Framework is its inversion of control (IoC) container, which provides a consistent means of configuring and managing Java objects using reflection. The container is responsible for managing object lifecycles of specific objects: creating these objects, calling their initialization methods, and configuring these objects by wiring them together. Objects created by the container are also called managed objects or beans. The container can be configured by loading XML (Extensible Markup Language) files or detecting specific Java annotations on configuration classes. These data sources contain the bean definitions that provide the information required to create the beans. Objects can be obtained by means of either dependency lookup or dependency injection. Dependency lookup is a pattern where a caller asks the container object for an object with a specific name or of a specific type. Dependency injection is a pattern where the container passes objects by name to other objects, via either constructors, properties, or factory methods. In many cases one need not use the container when using other parts of the Spring Framework, although using it will likely make an application easier to configure and customize. The Spring container provides a consistent mechanism to configure applications and integrates with almost all Java environments, from small-scale applications to large enterprise applications. The container can be turned into a partially compliant EJB (Enterprise JavaBeans) 3.0 container by means of the Pitchfork project. Some criticize the Spring Framework for not complying with standards. However, SpringSource doesn’t see EJB 3 compliance as a major goal, and claims that the Spring Framework and the container allow for more powerful programming models. The programmer does not directly create an object, but describe how they should be created, by defining it in the Spring configuration file. Similarly services and components are not called directly; instead a Spring configuration file defines which services and components must be called. This IoC is intended to increase the ease of maintenance and testing. The Spring MVC Framework features its own model–view–controller (MVC) web application framework, which wasn’t originally planned. The Spring developers decided to write their own Web framework as a reaction to what they perceived as the poor design of the (then) popular Jakarta Struts Web framework, as well as deficiencies in other available frameworks. In particular, they felt there was insufficient separation between the presentation and request handling layers, and between the request handling layer and the model. Controller: comes between Model and View to manage incoming requests and redirect to proper response. Controller will map the http request to corresponding methods It acts as a gate that directs the incoming information. It switches between going into model or view. HandlerInterceptor: interception of incoming requests comparable, but not equal to Servlet filters (use is optional and not controlled by DispatcherServlet). The ease of testing the implementations of these interfaces seems one important advantage of the high level of abstraction offered by Spring MVC. DispatcherServlet is tightly coupled to the Spring inversion of control container for configuring the web layers of applications. However, web applications can use other parts of the Spring Framework—including the container—and choose not to use Spring MVC. Spring’s Remote Access framework is an abstraction for working with various RPC (remote procedure call)-based technologies available on the Java platform both for client connectivity and marshalling objects on servers. The most important feature offered by this framework is to ease configuration and usage of these technologies as much as possible by combining inversion of control and AOP. Apache CXF provides integration with the Spring Framework for RPC-style exporting of objects on the server side. In comparison, Java Transaction API (JTA) only supports nested transactions and global transactions, and requires an application server (and in some cases also deployment of applications in an application server). It also provides more advanced technical services and features that will enable extremely high-volume and high performance batch jobs through optimizations and partitioning techniques. Spring Batch is a framework for batch processing – execution of a series of jobs. In Spring Batch, a job consists of many steps and each step consists of a READ-PROCESS-WRITE task or single operation task (tasklet). The “READ-PROCESS-WRITE” process consists of these steps: “read” data from a resource (comma-separated values (CSV), XML, or database), “process” it, then “write” it to other resources (CSV, XML, or database). For example, a step may read data from a CSV file, process it, and write it into the database. Spring Batch provides many classes to read/write CSV, XML, and database. For a “single” operation task (tasklet), it means doing a single task only, like clean up the resources before or after a step is started or completed. And the steps can be chained together to run as a job. Spring Integration is a framework for Enterprise application integration that provides reusable functions essential to messaging or event-driven architectures. Spring Integration supports pipe-and-filter based architectures. Spring provides MailSender to send email via JavaMail API. This section also provides tutorials on how to integrate Spring with third party mail providers and their APIs.